" The Frontier of South American Viticulture"
Located in Samaipata, a small town two hours outside of Santa Cruz, this frontier of South American viticulture between the Andes’ Elbow and the Siberia mountain ridge is home to four centuries of wine history. 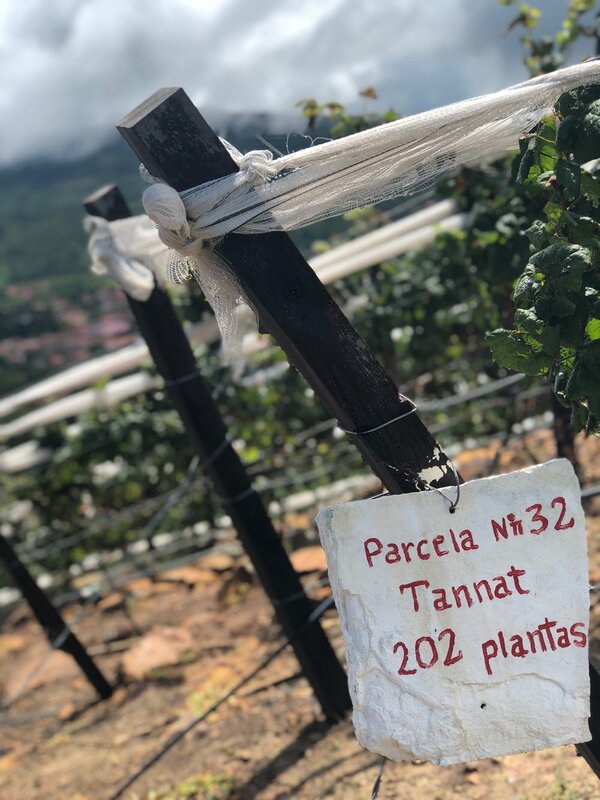 The Uvairenda vineyards blanket east-facing slopes at 1750 meters, hence the name 1750 wines, or 5,741 feet above sea-level, producing high-quality wines on a small-scale. Uvairenda plants are mostly French vines carefully selected for the climatic characteristics of its vineyards. 1750 chose to establish its vineyard in fields endangered by erosion and by centuries of slash and burn practices, which nevertheless, posses the ideal conditions for growing grapes. All the vineyard work is done manually, avoiding the use of pesticides, and caring for the vineyard with love and respect. The intense sun and cool days give color, body and tannins to 1750 wines while the cold nights help concentrate grape juices and maintain acidity. These characteristics distinguish our wines and allow Uvairenda to create the best expression of Bolivia’s unique terroir. The vineyard produces roughly 38,000 bottles year, which until recently were sold primarily for domestic consumption. 1750 now exports small quantities to Chile, Europe and the United States.